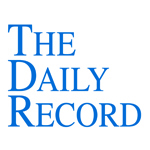 This week's Daily Record column is entitled "Lawyers and New Social Media Platforms." Social media is a rapidly changing phenomenon. New platforms are introduced all the time and old ones quickly fade away. Even for so-called “social media gurus,” it can be difficult to predict which ones will have staying power and which ones are mere fads. It’s clear that Facebook, Twitter and LinkedIn aren’t going anywhere, while one-time bedrock MySpace is rapidly losing ground. Friendfeed and GoogleBuzz, once the darlings of social media pundits, disappeared in the blink of an eye. So when a new social media platform comes along that generates a lot of online buzz, some believe that it makes sense to jump into the fray early on in order to take fully take advantage of the opportunities that it presents. This site essentially allows users to ask questions related to any topic; other users then submit answers to questions that interest them. The format is intended to create a knowledge base of information provided by people uniquely able to answer the questions due to their very specific areas of expertise. For the most part, at this early stage, the questions asked tend to revolve around technology issues, ranging from software development to social media to cloud computing. This is because the site is frequented primarily by the Silicon Valley set, developers and social media advisors galore. So, the question remains: Does it make sense for lawyers to be among the first to use this site? Do lawyers who are so-called “early adopters” of Quora stand to benefit? In my opinion, the answer is “no”—for most lawyers, using Quora at this early stage of the game would simply be a waste of time. I say this for two reasons. First, I’m not convinced that Quora will be around for the long haul. The user interface is clunky and confusing. Questions from topic threads that you subscribed to appear on your “home” screen, seemingly at random and you have to click through to read the answers provided. There is no search function, which makes it difficult to sort through the vast amount of data and locate those questions and answers that are particularly relevant to your interests. The bottom line: it’s difficult to navigate the site and after spending about 5 minutes on it, I tend to experience information overload. Second, for most lawyers, participation on Quora is pointless. Quora only makes sense for a minority of lawyers, including those lawyers whose target client base consists of technology geeks, software developers, or social media consultants. Lawyers who live in or near Silicon Valley would also benefit from participation. But for the vast majority of lawyers, participating in Quora at this early stage in the game would be a huge gamble and an enormous time sink, with the likelihood of minimal returns for the time investment. Sure, the Question and Answer format is a comfortable one for many lawyers. But that doesn’t mean that Quora is necessarily a good site for lawyers. In my opinion, for the time being, lawyers who prefer this type of format would be better served showcasing their expertise by answering questions LinkedIn or Avvo.com. If, six months down the road, Quora is still alive and kicking, it might be worthwhile to consider participating on it. At that point the user interface should be drastically improved as well, making interaction on the site a more user-friendly and enjoyable experience. This week's Daily Record column is entitled "Blawging: It's all about the passion." I’m frequently asked to explain what makes a “successful” law blog. However, as is the case with any other type of social media, success is in the eye of the beholder. A law blog is successful if it helps you achieve your goals, whether they are to obtain new clients, increase your law firm’s search engine standing, showcase your expertise and writing skills, or simply serve as a creative outlet for your headstrong opinions. Regardless of your goals, there’s no point in blogging unless you enjoy the process of writing and have a passion for your subject matter. Otherwise, the blog will fall flat. While it may achieve desired goals of increasing search engine optimization, it will ultimately be uninteresting and will have few regular readers. The best blogs come from the heart. The lawyer’s voice and passion for the subject matter are obvious. The blogger offers his or her opinions without hesitation and isn’t afraid to express a minority viewpoint. A few blogs spring to mind as prime examples of this type of blogging. Some are well known, others less so. But all are great examples of blogs that continually draw readers in and bring them back for more. Two criminal defense law blogs that meet the mark are Scott Greenfield’s blog, Simple Justice and Norm Pattis’ blog. Both Norm and Scott are extremely good writers and neither is afraid to express his opinion. Regardless of whether you agree with their viewpoints, you’ll find yourself returning to read their posts again and again. Two other bloggers with unique, poignant voices are Carolyn Elefant and Vickie Pynchon. Carolyn’s blog, My Shingle, offers solo attorneys Carolyn’s unique, knowledgeable and cutting edge perspective on solo practice trends and resources. Vickie’s blog, Negotiation Law Blog provides readers with her opinionated take on issues ranging from conflict resolution and mediation to the effect of generational differences on negotiating. Personal injury law blogs are notorious for being anything but well written. In most cases, these law blogs are chock full of tragic posts about car accidents and bogged down by seemingly irrelevant internal links included solely for the purpose of trying to game Google. There are a few shining stars that stand out from the rest, however, including The Pop Tort and Eric Turkewitz’s New York Personal Injury Law Blog. Both blogs offer an interesting, heartfelt take on personal injury and tort law. And let’s not forget the legal humor blogs. First, there’s my new favorite blog, Big Legal Brain, a group blog that provides tongue-in-cheek practice management and marketing tips to attorneys. Although intended to be funny, it contains many useful nuggets of wisdom. Another popular legal humor blog is Lowering the Bar, Kevin Underhill’s longstanding and very funny blog. Finally, my own legal humor blog, Legal Antics is quite funny as well—at least, I think so. Finally, this list would not be complete if it didn’t include two of my favorite legal technology blogs. At Advocate’s Studio, Martha Sperry provides lawyers with her intuitive, knowledgeable take on all things related to law and technology (especially Web 2.0 issues). Another time-tested favorite is 3 Geeks and a Law Blog, a group blog that focuses on knowledge management, internet marketing, and library sciences. There’s no shortage of interesting, well-written legal blogs, but it’s the passion of the blogger that sets the best apart from the rest. If you’re thinking of starting a law blog of your own, these blogs are great place to look for inspiration. I recently became involved in a really interesting new project: The Xemplar. It's a new website devoted to innovative solo and small firm attorneys that lead the way and make a postive impact on our profession and their communities. Each month, a new “Xemplar” is nominated and their story is featured, along with related articles and discussions written by me, my Social Media for Lawyers: The Next Frontier co-author, Carolyn Elefant, and others. I'm honored to serve on the advisory board of the Xemplar along with (in alphabetical order) Bob Ambrogi, Rodney Dowell, Carolyn Elefant, and Gina Madsen. This month's Xemplar is Stephanie Kimbro, a pioneer in the field of virtual law office technologies. Read all about Stephanie in the feature article: Steph Kimbro: Standing Tall Among Giants. This month's related articles include The Case for Lawyering on the Front and Where's the Next Law Office? Virtually Anywhere. We just nominated next month's Xemplar--a criminal defense attorney in the trenches, fighting for justice--so stay tuned. How Will Lawyers Use Social Media in 2011? This week's Daily Record column is entitled "How Will Lawyers Use Social Media in 2011?" After last week’s article was published, a number of my online readers expressed surprise at some of my predictions as to how lawyers’ use of social media would change in 2011. For that reason, I wanted to expand on my predictions and explain the reasons behind them. First, I predicted that lawyers will still continue to find a use for substantive legal blogging even though blogging is on the decline for the general population (replaced instead by micro-blogging via sites like Twitter and Tumblr). Blogs serve lawyers well in a number of ways: they showcase lawyers’ expertise, strengthen their online presence by increasing the search engine optimization for the lawyers’ blog and websites and allow attorneys to express themselves — something most lawyers love to do! That being said, I predict that the overall number of law blogs will remain steady or even decline. I believe that the legal blogging market reached its saturation point last year, with the rapid influx of new legal blogs flooding the online marketplace. Because of the increase in legal blogs, competition for readers is fierce and it is increasingly difficult for lawyers to identify topics to write about that haven’t already been covered by other bloggersFor that reason, new lawyer blogs will only increase slightly and a good number of existing ones will be abandoned by lawyers who have found that it wasn’t worth their while to maintain a blog. 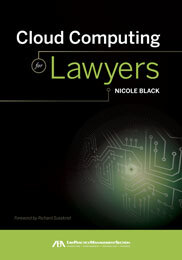 Additionally, whereas blogging used to be viewed as a way to connect with other lawyers, that function is now being replaced by the networking capabilities of social media sites like Twitter, Facebook and LinkedIn. Lawyer activity on those social networking sites will continue to increase. LinkedIn will see the largest increase, with lawyers setting up profiles at record levels. This is because LinkedIn is strictly a “professional” site and lawyers will feel most comfortable testing the online networking waters in that setting. Facebook activity will also see a huge increase amongst lawyers. More and more will set up new profiles — many will do so with the goal of keeping in touch with family members, friends and college age children. However, the feasibility of professional networking will soon become apparent to this particular sub-group as they receive connection requests from other attorneys and professionals. Facebook is increasingly becoming the place for online interaction and connection. People are joining the site in record numbers and its format easily facilitates the dissemination and discussion of relevant information, including blog posts and links to recent legal news. In mid-2010, I remained unconvinced of the long-term relevance of Facebook to attorneys. But now, just 6 months later, in part because of the introduction of Facebook Pages for businesses, I am quite sure that Facebook is supplanting Twitter and LinkedIn as the most relevant and useful site for online networking. Which brings me to Twitter. Twitter is by no means dead and will continue to be a huge force in social media, but its relevance to most attorneys and law firms is questionable. Twitter is primarily a source for the dissemination of information, since it is difficult to engage in and follow conversations on Twitter no matter what interface you use. If you have been able to accumulate a large, loyal following of people who are actually interested in the content that you tweet about, it is a very useful plat- form on which to share information about your cho- sen topics, including your own blog posts and content. However, obtaining and maintaining a loyal, engaged group of followers is not an easy proposition, despite what some social media “experts” might have you believe. Therefore, I believe that in 2011, Twitter’s relevance and utility to your typical attorney will be minimal at best. However, for those attorneys who enjoy technology news, who have a client base that uses Twitter, or who simply enjoy interacting in short bursts, Twitter may be a platform worth using — but it’s not for everyone. The bottom line: Social media is a rapidly changing landscape. What was relevant in 2010 may not be in 2011. And, you never know what’s coming next. The next big platform that may replace all others in 2011 may very well be under development. Something new is always just around the corner. So, who knows what 2011 will bring? I don’t know about you, but I can’t wait to find out.